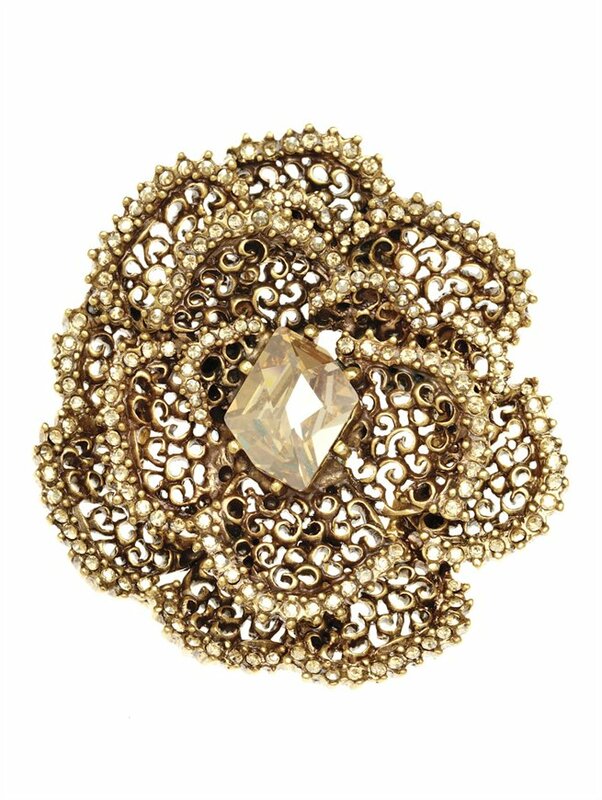 Oscar is celebrated for designing beautiful brooches. This season, he marries two of his favorite motifs—lace and flowers. The lace petals are handcrafted in our exclusive Russian gold and finished with a genuine Swarovski center. For a traditional approach, wear on the left side of a jacket. For a modern twist, pin in the hair or on a favorite clutch. 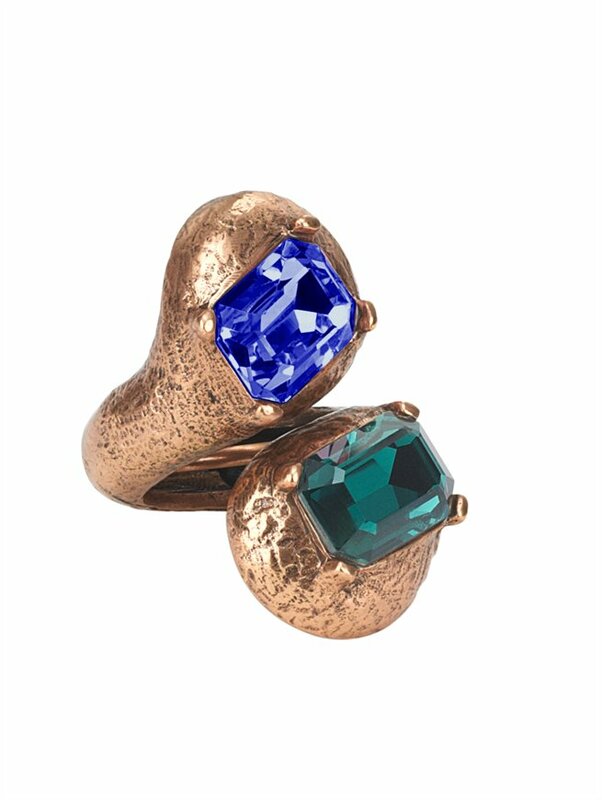 This elegant double cocktail ring adds around-the-clock opulence to any look, thanks to its emerald-cut Swarovski crystals in evergreen and pacific hand-set in hammered 24-karat gold plating. 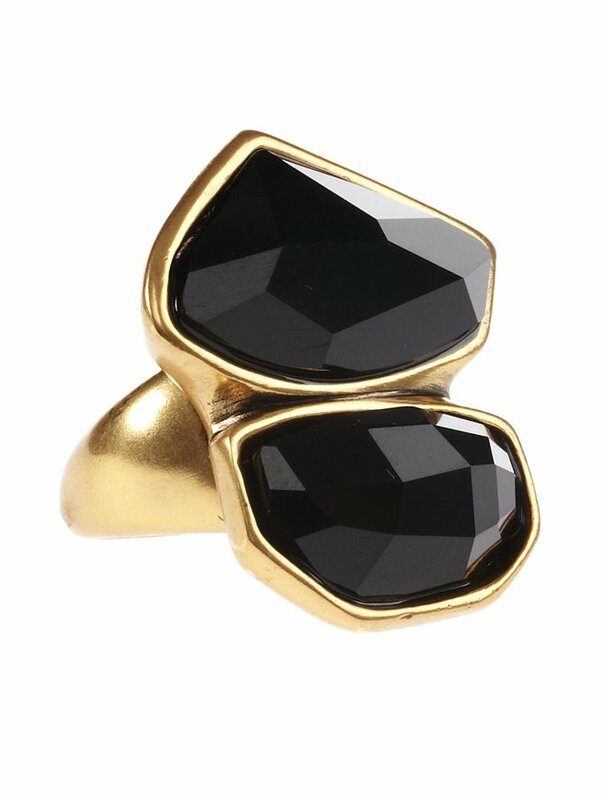 A modern take on classic glamour, this elegant cocktail ring is crafted with genuine Swarovski crystals hand-set in Russian gold. The crystals’ abstract facets create maximum surface for brilliant shine. 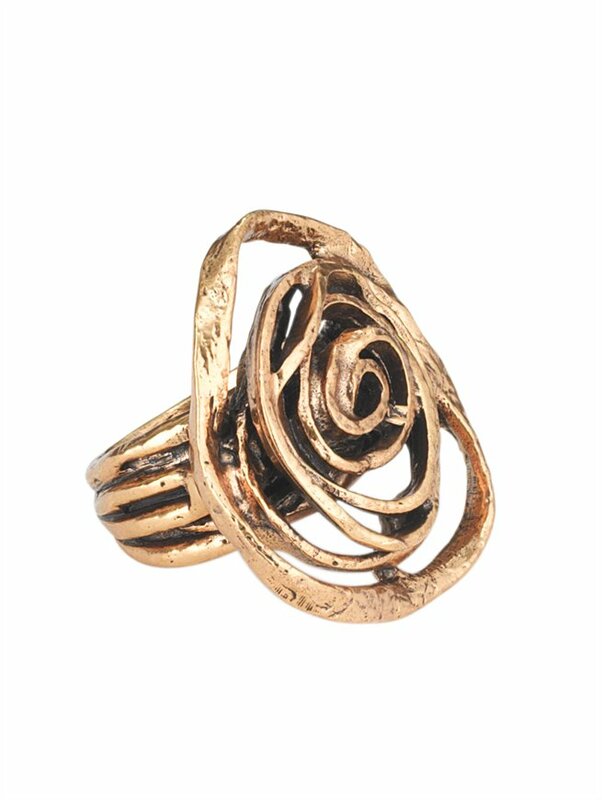 This swirl cutout flower ring blends effortlessly with any look, day or night. The hammered Russian gold has a vintage feel while the gestural swirls lend contemporary flair. 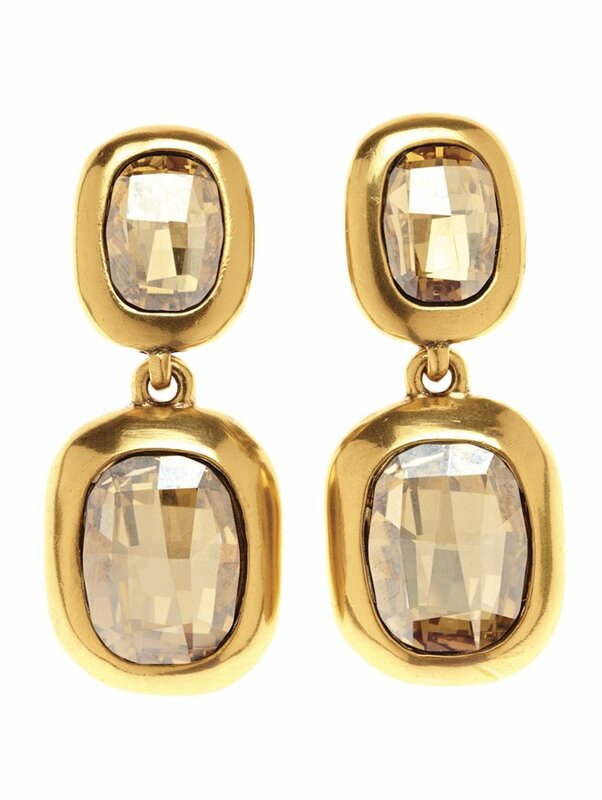 Oscar’s love for strong-yet-streamlined design comes to life with these Swarovski crystal drop earrings in a bezel setting. Cast in Russian gold, a color exclusive to the house, and handcrafted by master artisans in America.